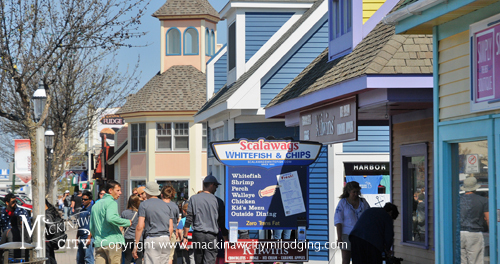 Mackinaw City Things to Do | What is there to do in Mackinaw? 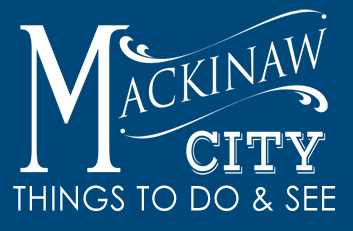 What are the best things to do in Mackinaw City? 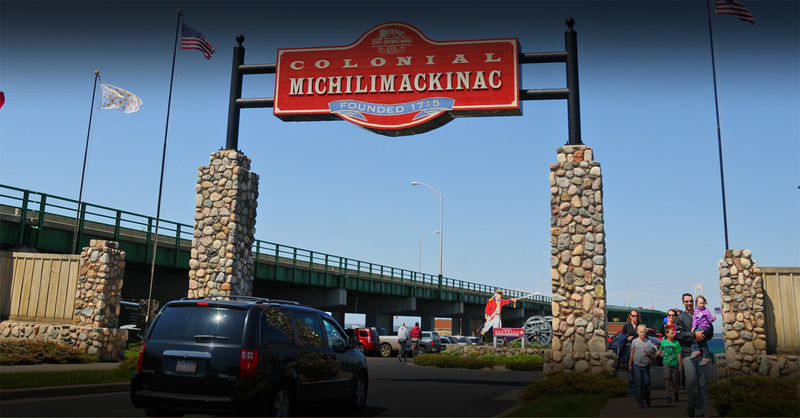 Welcome to Mackinaw City, Michigan and our activities page. "What are the best things to do in Mackinaw? ", you may ask. There are a multitude of entertainment and activities here in the Straits Area. 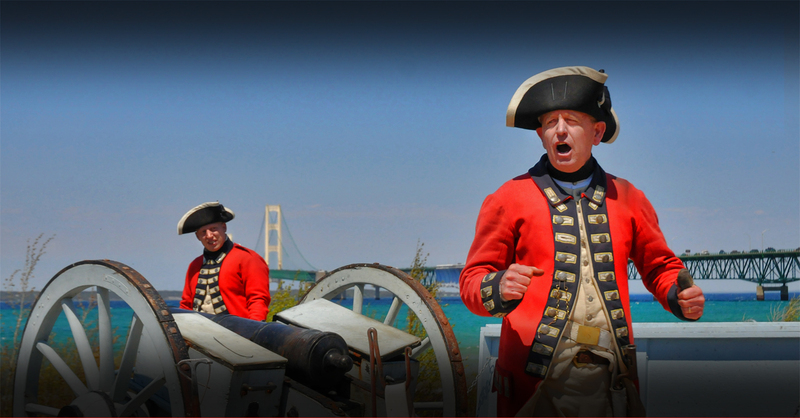 Mill Creek Discovery Park is operated by the Mackinac State Historic Park Commission and features a fully reconstructed, revolutionary war period, operating, water-powered sawmill. Mill Creek Discovery Park is formerly known as Mill Creek Historic Park and does not offer lodging. Guests can enjoy an Adventure Tour - Forest Canopy Bridge and Eagles' Flight zip Line, Water Powered Sawmill from the 18th Century, Millwright's house and workshop, 625 acre nature park, Creatures of the Forest Program, Movie at the Visitor's Center, Park naturalists and interpreters. The park is open 9:00AM to 5:00Pm during the peak season from June through August. 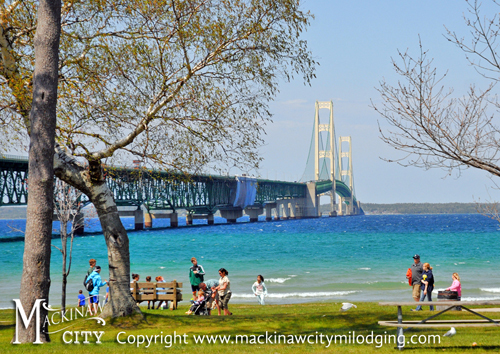 Mackinaw City offers a wide range of great relaxing areas to enjoy the scenic views of the Straits of Mackinac. 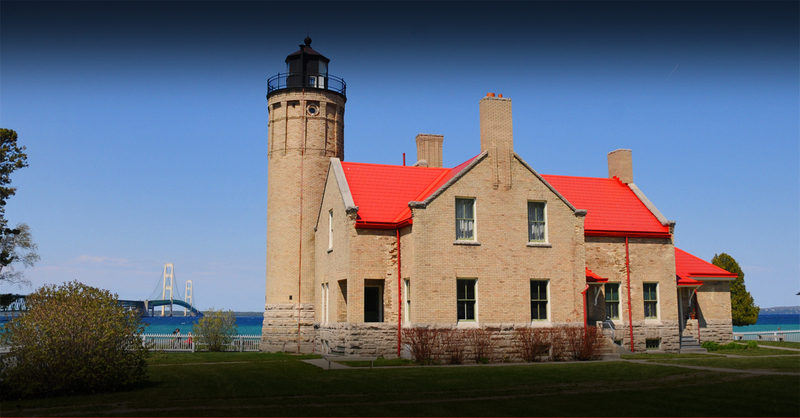 The Old Mackinac Point Lighthouse Park offers visitors great views of the Mackinac Bridge, picnic areas, Old Mackinac Point Lighthouse, Lighthouse Tours, along with a museum store. The park also has a sidewalk that winds around the park and offers great views of the Mackinac Straits area. 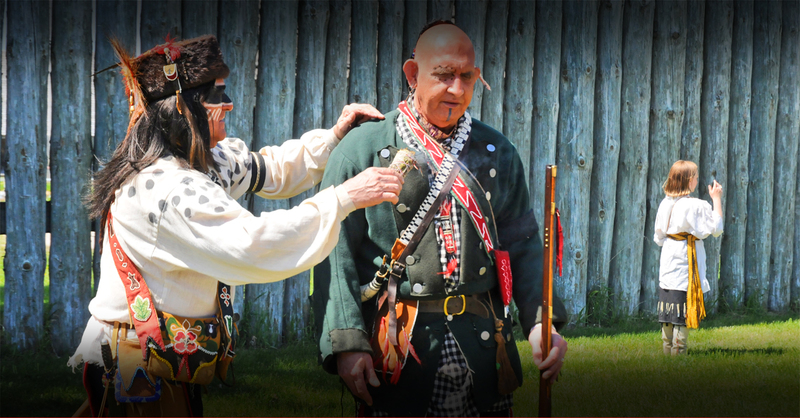 Colonial Michilimackinac, a wooden fort that dates back to the 1770s, is accessible from the walking path on the west side of the park. Colonial Michilimackinac Park is the northern-most park in Mackinaw City and is home to Old Mackinac Point Lighthouse, a beautiful brick lighthouse that was established in 1892. Other waterfront parks include: Alexander Henry Park Straits View Park, Gary B. Williams Par, and Wawatam Park. These are connected by a walking trail and are located off of Huron Avenue. Conkling Heritage Waterfront Park is located on Huron Avenue. It has a short walking trail that circles around the park. A band shell on the south end of the park is periodically used for concerts and events. Wow, there is no end to the things to do in Mackinac City. 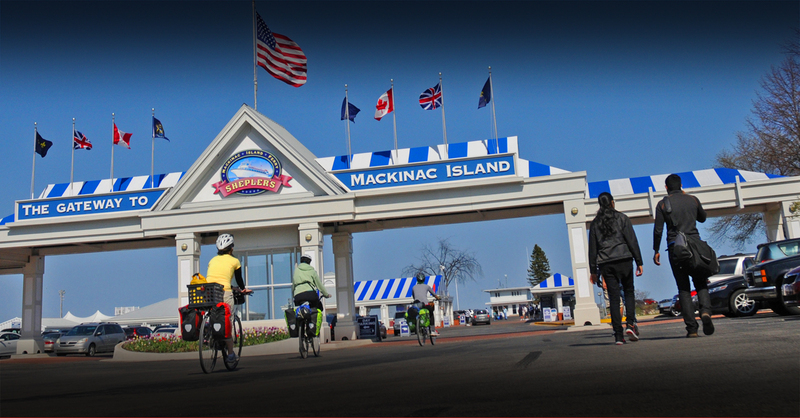 Plan your stay here and experience our bike trolley tour, parasailing, cruises, rentals, charter boats, along with ferry’s to Mackinac Island. 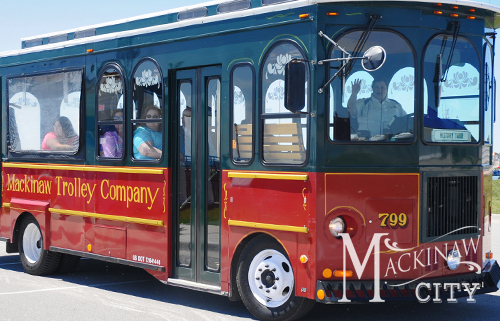 Shown here is the Mackinaw Trolley Company, a great way to see the city's highlights. 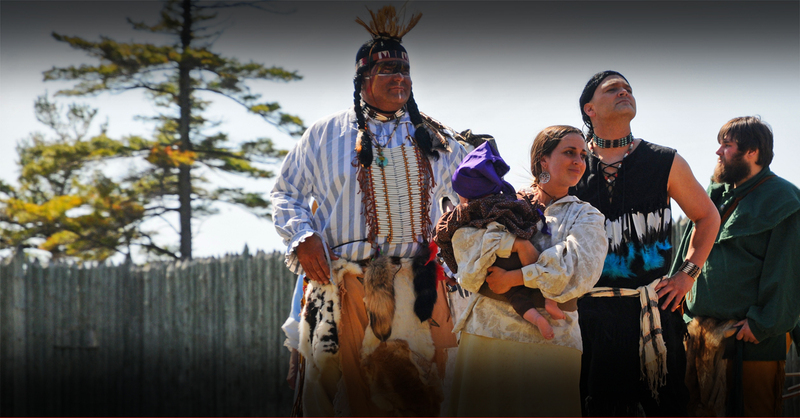 This is an affordable tour for the family with two options: Local Historical Tour and the Evening Across the Bridge Historical Tour. Mackinac Old Time Trolley also offers the perfect occasion for large groups, weddings, & private parties. 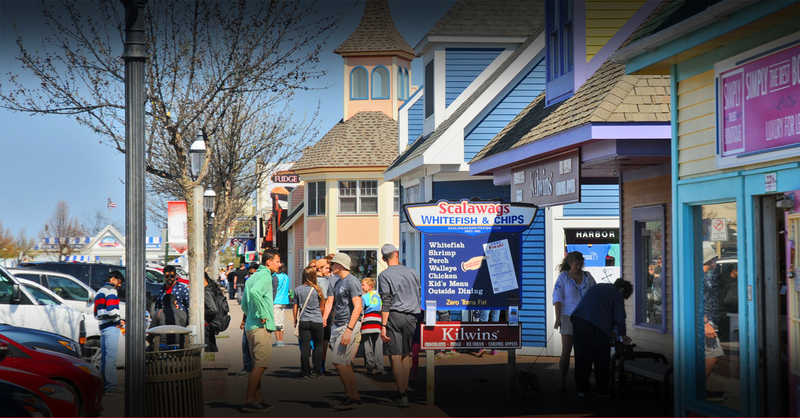 Another great activity is the Mackinaw Historical Pathway that displays forty educational and historical markers throughout the village promoting the history of the area. Come and Experience Mackinaw City, Michigan at the Top of the Mit! Come watch the best Northern Michigan Fireworks Around! Mackinaw City Fireworks are launched three times annually per year. Just as evening approaches, visitors find a place to relax, look up and enjoy the show. 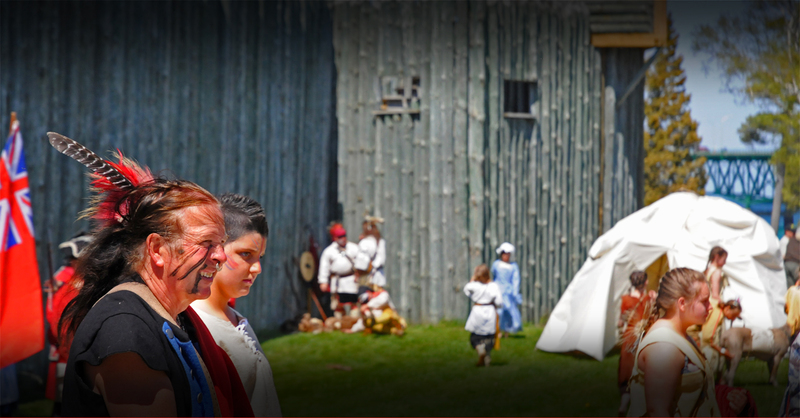 This is a family fun event with many more great things to see and do before and afterward. 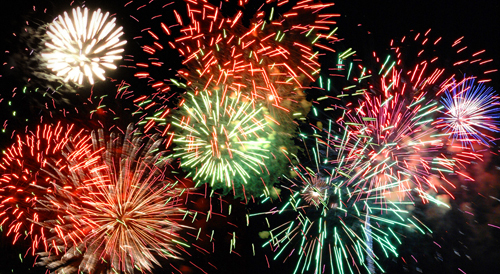 Click here for events, dates and locations for "Best Places to View Mackinaw City Fireworks!" 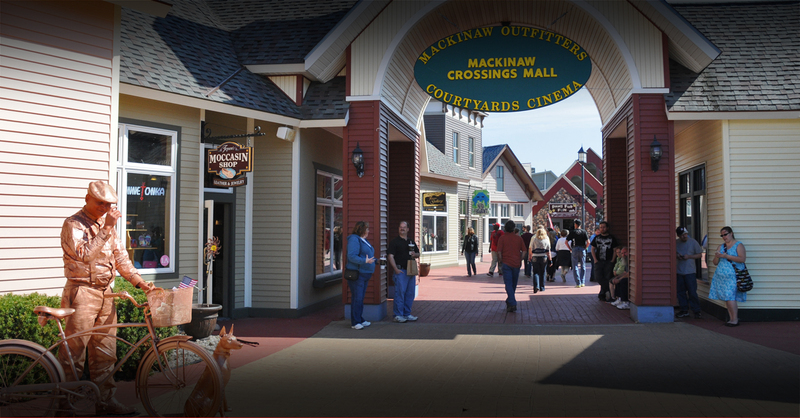 Mackinaw City Let us introduce you to one of the best shopping districts in Northern Michigan! There is no end to the exciting Mackinaw City gift shops to peruse. You will find apparel, fudge, candy, souvenirs, gifts, toys, kites, furniture, jewelry, art, crafts, antiques and camping equipment, just to name a few. Enchanted Knights - Where myths come alive. 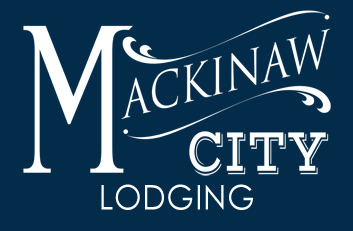 Mackinaw Crossings - over 50 specialty shops, attractions, dining, playground, FREE nightly laser show, rock climbing wall and more!